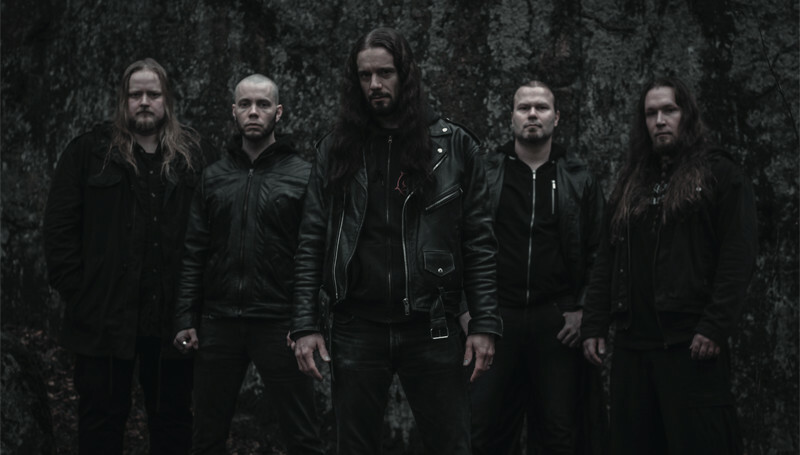 SOULFALLEN performs melodic dark metal from the black blooded, crestfallen heart of Finland. The band was founded in 2003 and the first demos were recorded at Studio Watercastle by Arttu Sarvanne in 2004 and 2006. Both demos were received well in the media but especially the latter, Death Of The Tyrant (2006), received excellent reviews and praise in all the major music magazines & internet medias in Finland (including Soundi, Inferno, Imperiumi, Miasma, only to name a few…) and SOULFALLEN was even voted one of the best unsigned band of 2006 by the readers of Noise.fi. The band had shaped their soundscape to a league of its own and this was also seen in its growing underground popularity. Followed by intensive live shows and excellent reviews in the beginning of 2007 the band inked a record deal with OFF RECORDS FINLAND and began the recordings of their debut album in spring 2007. The album was recorded in April / May 2007 at Studio Watercastle, Jyväskylä, by Arttu Sarvanne and mastered by Mika Jussila at Finnvox Studios. The album titled World Expiration was released in Finland on September 19th 2007 by Off Records Finland and distributed by Firebox Records. With World Expiration the band took another great leap forward in forming a perfect balance between aggression and darkly flavoured melodies & orchestrations and debut album received excellent reviews and attention both in the Finnish media and abroad. SOULFALLEN also received much praise in several annual votes as one of the best newcomers of 2007! * The year 2008 was spent doing live shows and writing material for their second album. During 2008 the band also did their first shows abroad, in Russia, and filmed their first music video for the song Death Of The Tyrant. On November 2008 the band returned to Studio Watercastle to begin the recordings of their second album. The new album titled Grave New World was recorded in three weeks during November / December 2008 and once again mastered at Finnvox Studios by Mika Jussila on January 2009. Grave New World continued the dark path begun with World Expiration, but also presented a band that has expanded its expression to a whole new level. The extremes had been pushed even further as the music flowed from ethereal orchestrations to aggressive guitar patterns on its path to the very core of Finnish melancholy. This was the soundtrack to the burial of an entire world! The second was welcomed even warmer gaining a place in the hearts of fans and critics alike. Notations such as album of the month or one of the best albums of 2009 were received through various medias. The band continued touring Finland and reaching further abroad, to the Baltics this time, pinnacling in supporting Cannibal Corpse in a sold out theatre in Vilnius, Lithunia. In the summer of 2011 the band returned to the fires of Studio Watercastle to record their third effort. In 2012 a special edition of the sold out second album Grave New World was also released by Off Records. In 2013 SOULFALLEN celebrates their 10 year anniversary.